Roger Berkeley FRICS FSCSI BSc. 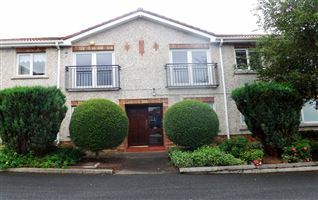 (Hons) and his family live in Palmerstown. Roger started in the Auctioneering and Estate Agency business in 1977. He established Berkeley & Associates in 1990, having already worked as Manager and Director with some of the leading Auctioneering firms in Dublin, London and Galway throughout the 1980s. The Palmerstown office covers the areas of Palmerstown, Chapelizod, Ballyfermot, Clondalkin, Lucan and sourrounding areas including north and south Dublin. Roger Berkeley is a Fellow of the Royal Institution of Chartered Surveyors, which is the main representative body of property professionals worldwide & a Fellow of the Society of Chartered Surveyors Ireland. Roger is also a Certified International Property Specialist(CIPS).